Rows of square red beads and crystals encircle this fascinating Multistrand Beaded Bracelet. Tiny chains frame both the beads and the crystals to make them stand out even more. 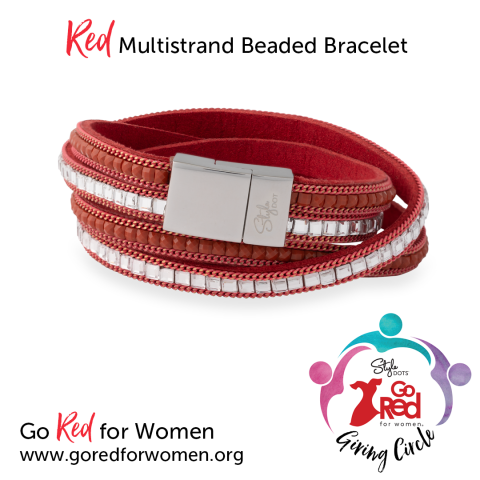 Proceeds from the sale of this bracelet will be sent to 'Go Red for Women'. Love this bracelet and the sparkle is amazing! and always enjoy supporting our go Red for Women organization!